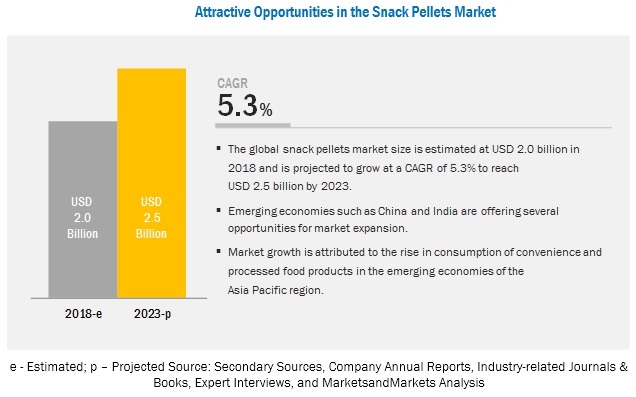 [153 Pages Report] The snack pellets market is estimated to account for about USD 2.0 billion in 2018 and is projected to reach a value of about USD 2.5 billion by 2023, at a CAGR of 5.3%. The growth of the snack pellets market is driven by the rising demand for prepared and convenience food products. 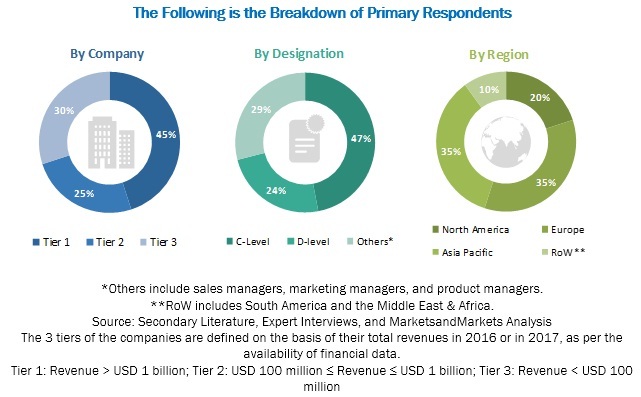 In addition to this, the growing focus on facility expansion, marketing schemes, and information exchange programs for creating awareness to enhance the consumption of snack pellets has contributed to the growth of the market. The multigrain type segment is projected to be the fastest-growing in the snack pellets market during the forecast period. The multigrain type segment is projected to be the fastest-growing segment in the snack pellets market during the forecast period. Multigrain snack pellets are made of various grains that have high nutritional value. Earlier, a single grain type was used to produce snack pellets, due to which the nutritional value of products was limited. Currently, the consumer demand for multigrain snack pellets remains high due to its high-fiber content. With low-fat content, multigrain snack pellets offer various health and taste benefits, as compared to potato- and corn-based snack pellets. Grains such as wheat is mostly used with other types for snack pellets. The gelatinized segment is projected to account for the largest market size during the forecast period. On the basis of form, the snack pellets market is segmented into laminated, die-face, tridimensional, and gelatinized. Gelatinized pellets are uniform in thickness; and are generally flat, with holes on the surface. The thickness is essential for the maintenance of shape definition upon frying or toasting. Gelatinized pellets can be produced by using a specially designed high-speed rotary cutting machine, which sequentially and synchronously punches the holes and cuts the sheet into the desired shape. Hence, the gelatinized form of snack pellets in the food industry is witnessing growth. The single-screw extruder segment is estimated to account for the largest share in the snack pellets market in 2018. On the basis of technique, the snack pellets market is dominated by the single-screw extruder segment. Single-screw extruders are comparatively easy to operate and maintain. Moreover, there are various types of single extruders offered by leading players in the market; these extruders are effective and capable of producing complex extruded snack food products. A single-screw extruder uses one screw in the barrel of the extruder to transport and shape multiple ingredients by forcing the ingredient mix through a shaped die to produce a uniform shape. North America is projected to account for the largest market size during the forecast period. The market is also segmented, on the basis of region, into North America, Europe, Asia Pacific, South America, Africa, and the Middle East. North America is projected to dominate the snack pellets market throughout the forecast period. Due to the abundant availability of raw materials and the presence of a strong food processing industry, North America holds the largest share of the snack pellets market, in terms of both volume and value. Additionally, snacks made from potato are highly preferred by consumers. These factors are responsible for the largest share of potato-based snack pellets in the region. The key players identified in this market include Limagrain Céréales Ingrédients (France), Liven S.A. (Spain), Grupo Michel (Mexico), Leng d'Or S.A. (Spain), Pellsnack-Products GmbH (Germany), J. R. Short Milling (US), Pasta Foods Ltd (UK), Noble Agro Food Products Ltd (India), Bach Snacks s.a.l. (Lebanon), Mafin Spa (Italy), Le Caselle S.p.A. (Italy), and Van Marcke Foods (the Netherlands). These players are focusing on increasing their presence through undertaking acquisitions and expansions and developing products specific to consumer tastes and preferences in these regions. These companies have a strong presence in Europe and North America. They have also set up manufacturing facilities in various regions and have strong distribution networks. Limagrain Céréales Ingrédients entered into an agreement to acquire 100% shares of Unicorn Grain Specialties (the Netherlands). This agreement would strengthen Limagrain’s strong presence in Northern Europe, in the pulses and cereals market. It would also provide specialized ingredients to industries such as breakfast cereals, bakery, snacking, animal nutrition, and nutrition markets. What are new trending flavors which the snack pellet companies are exploring? What are the upcoming growth trends which the snack pellets manufacturers are focusing on in the future? What are the high growth opportunities in the snack pellets market in each segment? What are the key growth strategies adopted by major market players in the snack pellets market? The study involves four major activities to estimate the current market size for snack pellets. Exhaustive secondary research was done to collect information on the market as well as its peer and parent markets. The findings, assumptions, and market size was validated with industry experts across the value chain through primary research. Both the top-down and bottom-up approaches were employed to estimate the complete market size. Thereafter, the market breakdown and data triangulation were used to estimate the market size of the segments and subsegments. 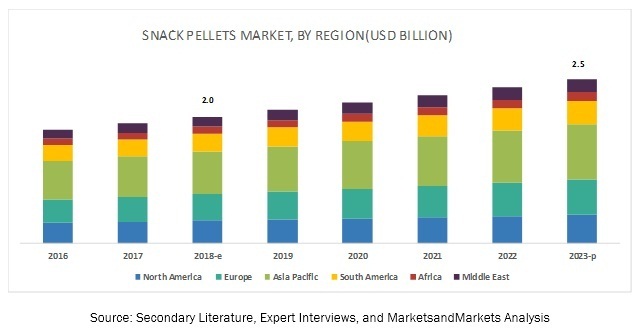 The snack pellets market comprises several stakeholders such as raw material suppliers, processors, end-product manufacturers, and regulatory organizations in the supply chain. The demand-side of this market is characterized by the rising demand for ready-to-eat food products and extended shelf-life of these products. The supply-side is characterized by advancements in production technology and diverse application industries. Various primary sources from both the supply and demand sides of the market were interviewed to obtain qualitative and quantitative information. The industry’s supply chain and market size, in terms of value and volume, were determined through primary and secondary research processes. After arriving at the overall market size-using the market size estimation processes as explained above—the market was split into several segments and subsegments. To complete the overall market engineering process and arrive at the exact statistics for each market segment and subsegment, data triangulation and market breakdown procedures were employed. The data was triangulated by studying various factors and trends from both the demand and supply sides in the food & beverage industry. Limagrain Céréales Ingrédients (France), Liven S.A. (Spain), Grupo Michel (Mexico), Leng d'Or S.A. (Spain), Pellsnack-Products GmbH (Germany), J. R. Short Milling (US), Pasta Foods Ltd (UK), Noble Agro Food Products Ltd (India), Bach Snacks s.a.l. (Lebanon), Mafin Spa (Italy), Le Caselle S.p.A. (Italy), and Van Marcke Foods (the Netherlands). This research report categorizes the snack pellets market based on type, form, technique, flavor, and region. Further breakdown of the Rest of Africa snack pellets market.